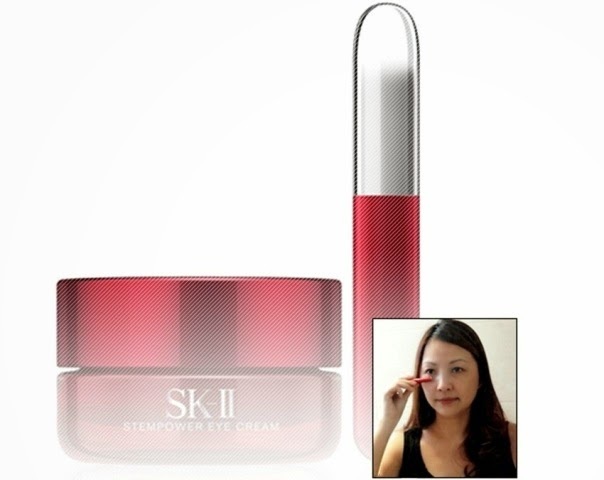 SK-II Magnetic Eye Care Kit, The Magic Of STEMPOWER! 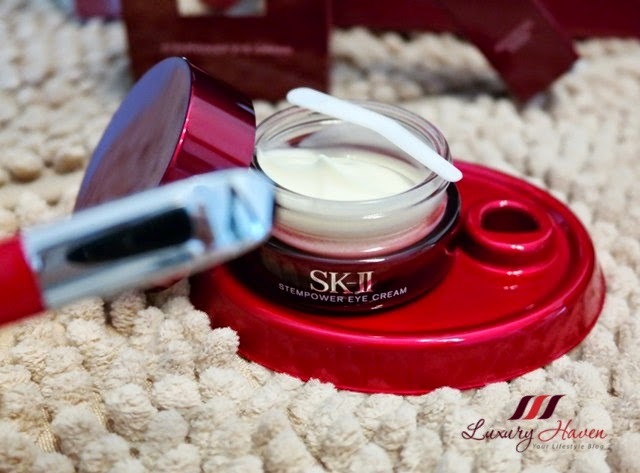 You are here:Home » SK-II » SK-II Magnetic Eye Care Kit, The Magic Of STEMPOWER! Once again, SK-II has challenged history by launching the World's 1st Magnetic Eye Care - the SK-II’s New STEMPOWER Eye Cream with Magnetic Wand, a revolutionary 3-Point eye firm-up to Ageless Beauty! Well, it seems that the skin surrounding the eye is particularly sensitive to the effects of ageing due to its thinness, which causes it to easily lose firmness and plumpness. 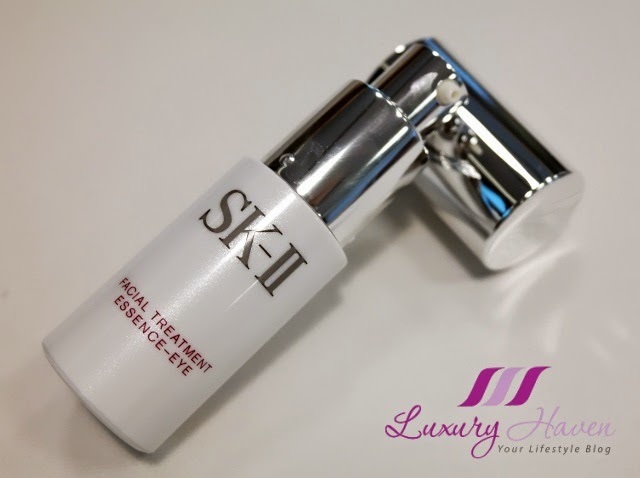 According to the results of the SK-II Akita study, the industry’s first holistic longitudinal study which spanned over 10 years, SK-II scientists have discovered that each key area is affected by aging in different ways. In the quest to counter signs of ageing to achieve ageless beauty, SK-II presents its latest innovation to the award-winning #STEMPOWER boutique – the new STEMPOWER Eye Cream! 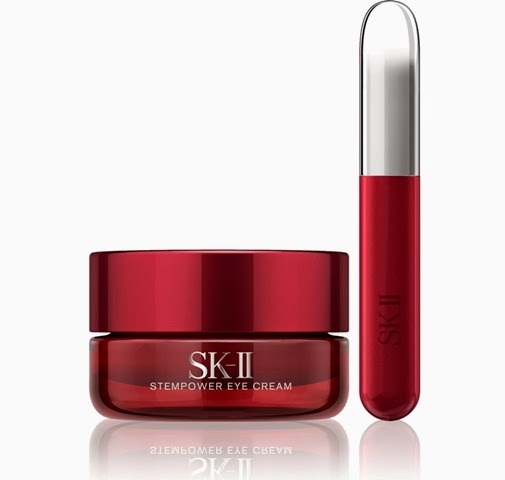 Combining revolutionary STEMPOWER technology with the specially formulated PAL-VB Complex, and Lupine-Alfalfa Extract, SK-II’s STEMPOWER Eye Cream works to ignite a chain reaction of beauty for a more youthful overall look around the eyes. STEMPOWER TRIO Active: A combination of Concentrated PiteraTM, Stem Acanax and Artichoke Extract, this cocktail improves skin 's plumpness and boosts radical firmness and inner resilience. PAL-VB Complex: This specially formulated ingredient promotes production of skin's structural protein that is important for skin’s elasticity and wrinkle resilience. Lupine-Alfalfa Extract: This aids in preventing sagging of eye bags. For faster, greater and more controlled absorption of ingredients in the SK-II STEMPOWER Eye Cream into the skin, SK-II also launches its new SK-II Magnetic Wand, featuring a tri-magnetic technology. Firming up the three critical areas around the eye for bigger, sharper and younger looking eyes and a younger looking face. Delivering 23% eye wrinkle reduction after 10 days of usage. Upon application, the STEMPOWER Eye Cream works to smoothen the appearance of wrinkles and even out the texture around the entire eye area. It helps to combat the signs of damage due to external factors such as UV, dryness and dust, and creates a bright-eyed look that lasts for the entire day. 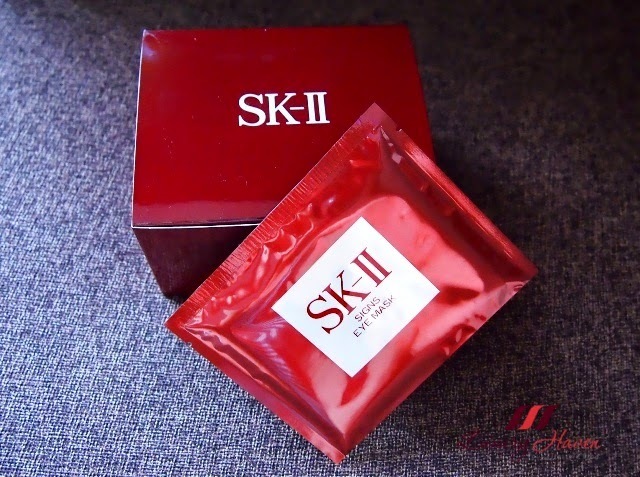 As with other SK-II eye creams that I have tried, the smooth and creamy texture is easily absorbed into the skin. 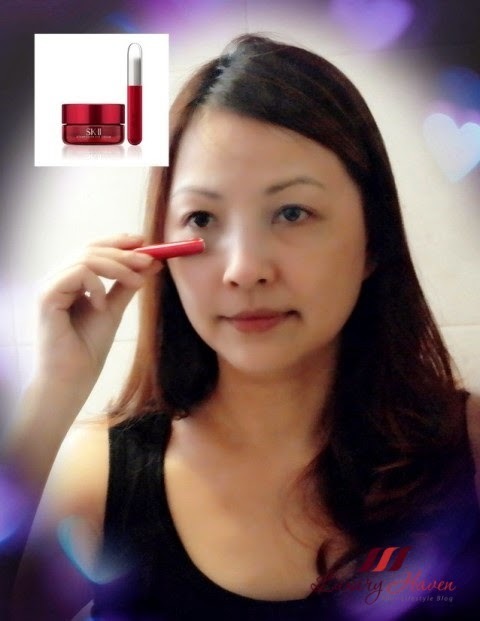 After 10 days of usage with the use of the SK-II Magnetic Wand, the STEMPOWER Eye Cream seems to minimize the appearance of fine lines and the eye area looks smoother and has a firmer look. The cream has a rather soothing effect and my skin feels more refreshed and hydrated. Take a pearl-sized amount of eye cream and dot it around the 3 points of the eye: eyelid, eye corner, under eye. Gently dab evenly with your ring finger, as lightly as possible. Use the Magnetic Wand to gently glide from the inner corner of the eye to the outer corner for boosted penetration. Repeat 10 times over the 3 key points of the eye. For better results, Fight Tired Eyes with SK-II Signs Eye Mask at least once a week. The eye mask is one of my favourite SK-II products with its essence-drenched cloth mask relieving the stress from my weary eyes. For that extra pampering, apply the SK-II Facial Treatment Essence Eye before using the New STEMPOWER Eye Cream with the Magic Wand. SK-II STEMPOWER Eye Cream (15g) with the Magnetic Wand is available now at a recommended retail price of SGD 174.
this review is so helpful for me! The product sound amazing you do outstaning reviews. I don t know this beauty brand but i trust axlot of your revieww. This eyecare kit sounds amazing Shirley! I hope it will be available in the US. Wow I didn't know eyes start to sag at 20!! Sounds like a wonderful product. Great to know that now there's device to help in the absorption of the eye cream. Omg I'm a fan of SK-II Shirley. I love their products. I jhave a few of their products here. I need to try this. Awesome Vedio.:). I like the invention on how its to be applied and for keeping our eyes bright and sunshiny. This brand is truly amazing. Thank you for sharing this review. Have a wonderful Saturday! Wow, what an interesting concept! Amazing products and great tutorials! I use eye cream since I was 20 years. This one is very interesting. Wow these products looks like fabulous! This label certainly has a strong marketing campaign. I wonder what their yearly budget is for advertising? I see the label everywhere. Cool! I definitely want to start an eye care regimen! I don't think I ever used an eye cream...I usually apply the same cream I'm using for my face to that area as well. I guess it is about the time I start using one. This product seems really interesting...that part about magnet got me interested! I tried using stem power before and it worked like magic. Now I have to wait for my next Japan trip to replenish stock.